“Pilates is the single most important thing I've done for myself in terms of taking care of my health and my body in the past 5 years." 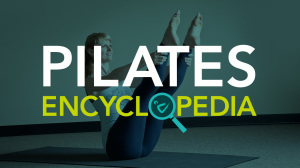 "I started Pilates about a year ago. I had attended an Intro to Mat class at Concord Pilates' previous studio location. The main reason I became interested was because I wanted to work on my flexibility. I'm an athletic person with a regular exercise routine and as part of that I've always incorporated stretching on my own; I didn't feel I made much progress and it always felt rushed. Yoga wasn't for me; I have hip restrictions and it was just too much. After constantly having injuries with sports and other recreational activities I realized that I needed to backtrack and address the root cause of those injuries. Being an Occupational Therapist as well as a Personal Trainer, I needed someone with Mara's expertise to observe me and help me understand what I am doing with my body. Kelly Diamond recommended Pilates to me. She believed it could serve me well and help me work on strength in a different way. I’ve always tried to make good lifestyle choices in terms of how I eat and exercise, but Pilates is the single most important thing I’ve done for myself in terms of taking care of my health and my body in the past 5 years. Pilates has definitely helped my flexibility, but in addition, it’s taught me a way to not only strengthen muscles but to access my muscle strength differently. I now can recruit muscles I never thought to use before. It builds on the things you don’t typically work on and brings exercising to a whole new realm. It’s about balance. I participate in both one-on-one sessions and the By Design class that is offered. With By Design, Mara is present in the room to supervise but it requires you to be responsible for your own practice and I feel there is a lot of merit in that because while you are doing your own thing, you have the teacher’s support should you need it. I have less joint stiffness and more strength. The biggest thing though is that I have more awareness of my body and the more I practice, the more I can integrate it into the other activities I do. I find myself changing my movements subtly without even realizing it; it comes naturally. Once you have that ability, you never lose it. It’s a practice which is something I appreciate the more I come into the studio. It fundamentally builds on itself; it isn't one accomplishment that just ends when you have finished a session.